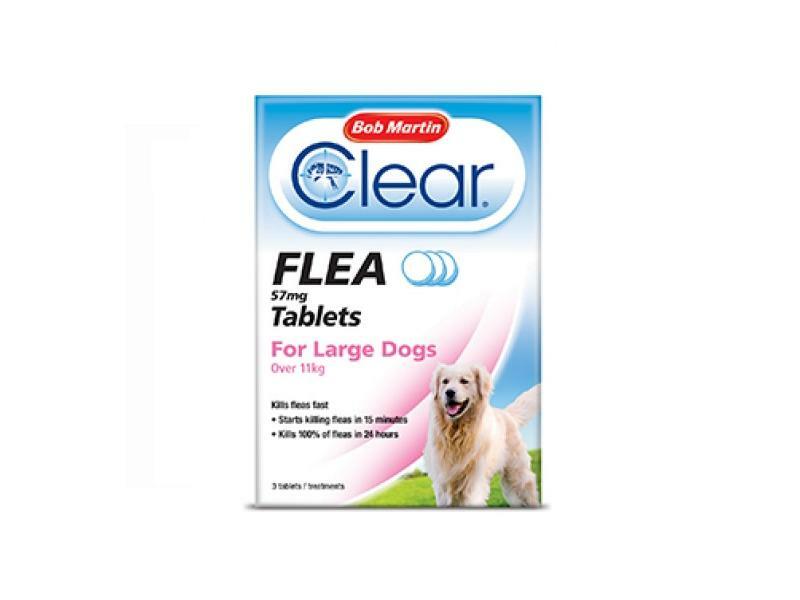 Bob Martin Clear Flea Tablets help to rid your pet from the discomforts of fleas by killing them fast. Clear Flea Tablets will rid your pet of fleas for 24 hours, however as most fleas reside in the house it is important to eliminate the problem. 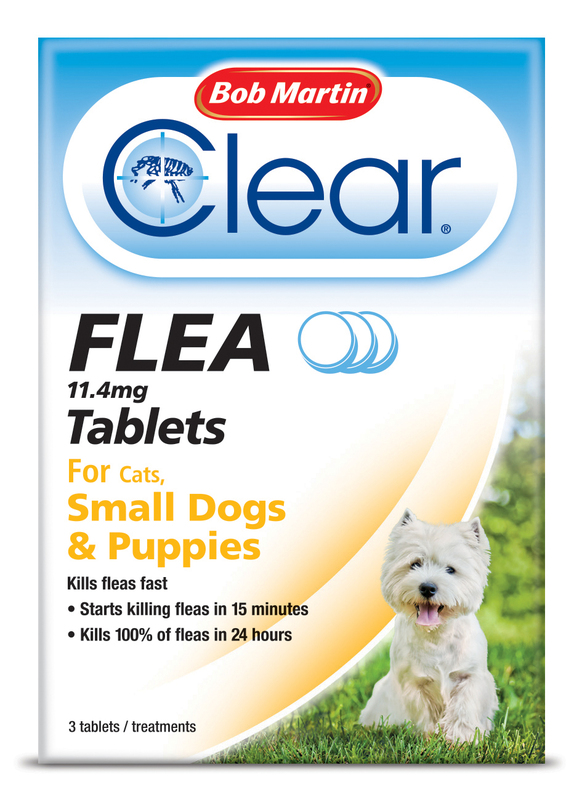 Clear Flea Tablets are small and easy to administer, and provide an effective method of quickly ridding your pet of fleas. Suitable for cats and dogs and puppies up to 11kg. 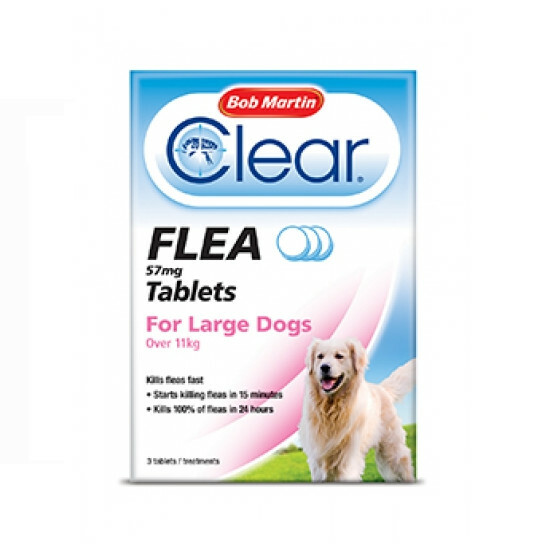 Below are some recent questions we've received regarding Bob Martin Clear Flea Tablets, including answers from our team. The tablets do not contain the ingredient that interrupts the life cycle of the fleas to stop them breeding and re-infesting the cat. Therefore, it may be necessary to treat the animal every day, or every other day, until the flea infestation is controlled. Treatment may be resumed if fleas reappear. No more than one treatment should be given per day. The packaging says that the active ingredient is Nitenpyram.